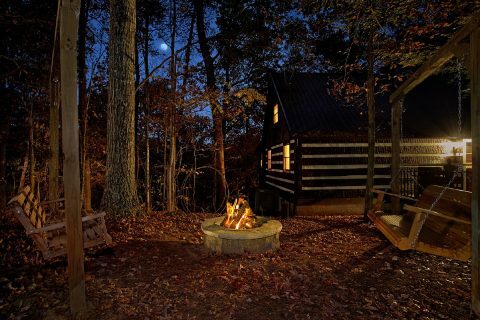 Welcome to "Mountain Moonlight" in beautiful Wears Valley, TN! 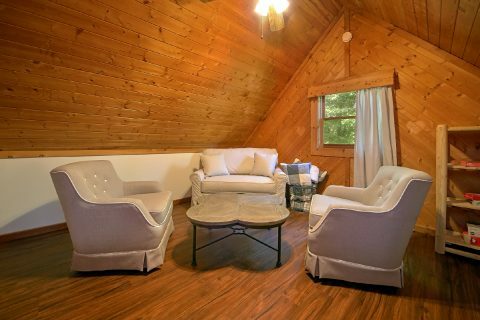 This cozy 2-bedroom cabin sleeps up to 4 guests in comfort, just the perfect size for a romantic getaway, a fun trip with friends, or a small family vacation! 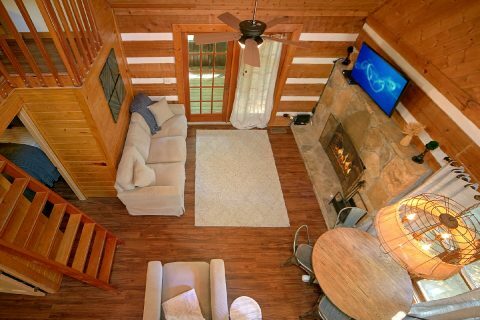 No matter who you go to the Smokies with, you'll simply love this comfortable log cabin with a prime location and plenty of amenities to make your stay a delight! 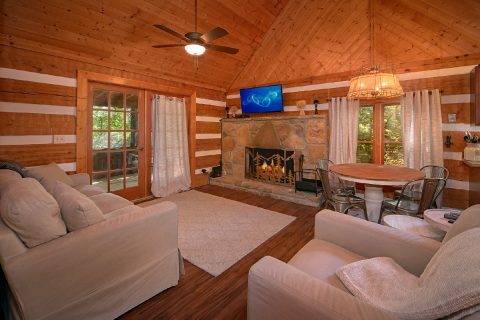 Step into the main living area to enjoy the warmth of the wood-burning fireplace. 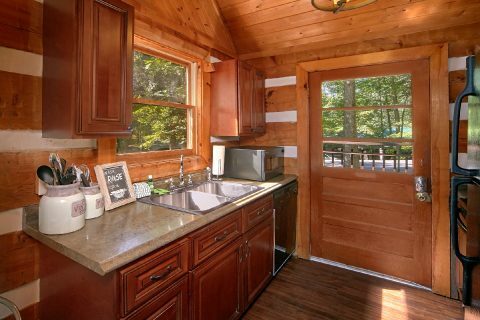 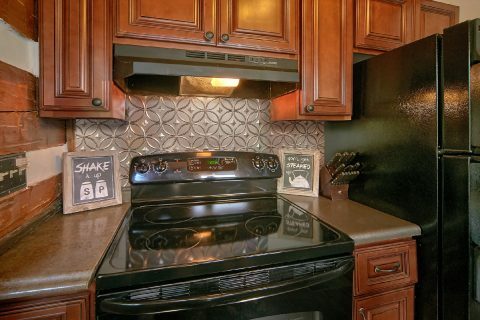 Nearby, you'll find this cabin's full kitchen area that gives you the option to prepare delicious and affordable meals on your vacation. 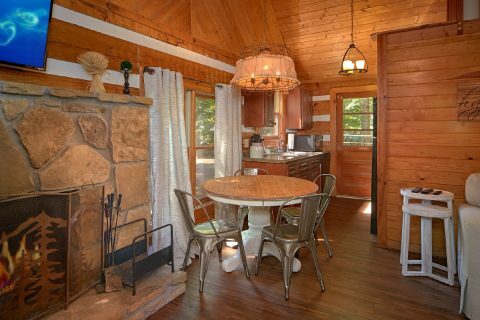 This cabin also offers a charcoal grill for enjoying tasty steaks and burgers during your stay. 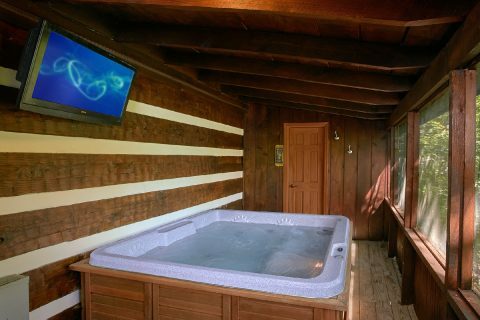 Outside on the back deck, you can relax on the porch swing or sink into the warm waters of the hot tub while you enjoy the sights of nature that surround your cabin. 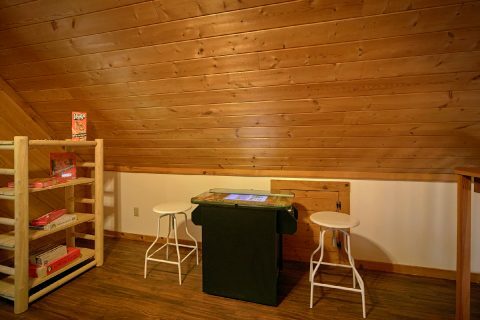 For some in-cabin entertainment, head upstairs to the loft to see if you can set the high score on the arcade game! 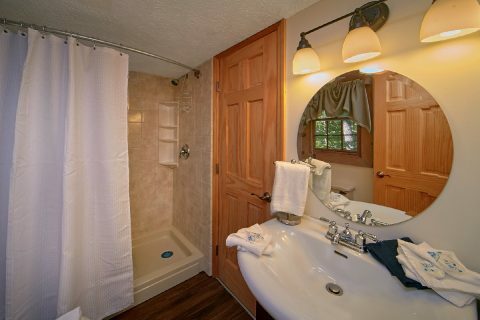 Lastly, this cabin offers convenient features like WiFi Internet, a washer & dryer, and a level parking area with room for two vehicles. 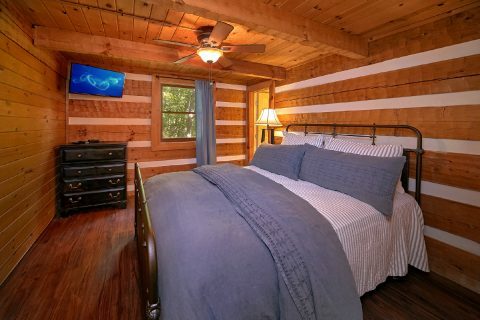 This cabin's 2 bedrooms both provide comfortable queen-size beds. 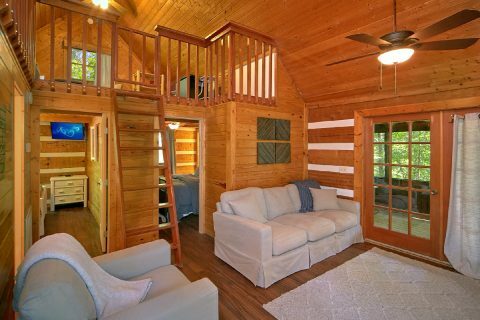 This cabin's rustic exterior complements this property's mountainous setting, but the interior is recently renovated and updated. As an added perk, this cabin keeps guests close to lots of fun attractions and activities. 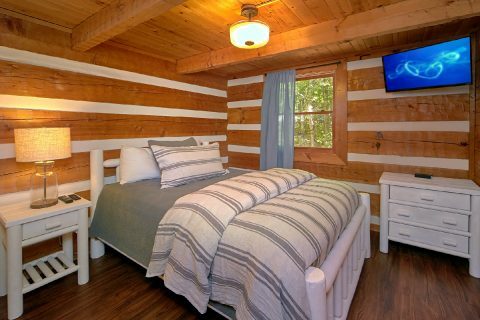 Great attractions in Pigeon Forge and Gatlinburg like Dollywood, The Island, and Ripley's Aquarium of the Smokies are only a short trip away. 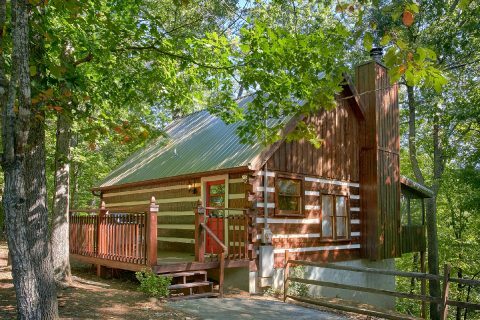 The picturesque community of Wears Valley is only a short drive away where visitors can easily access the national park through the Metcalf Bottoms park entrance. 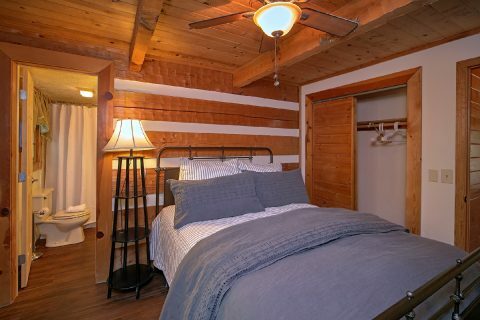 Don't forget to reserve "Mountain Moonlight" online with Cabins USA Gatlinburg to earn a special discount on your stay! 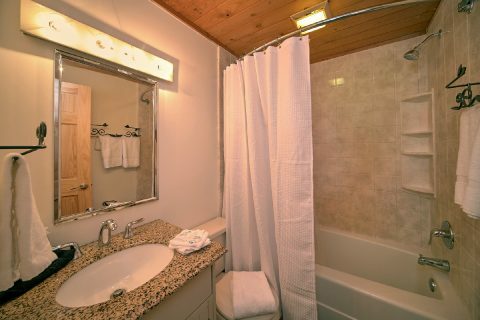 See how much you can save on your nightly rate by checking this cabin's availability on your trip!